The Museum Royal Stables and Carriages is located right in the centre of Copenhagen in one of the buildings that belong to the Christiansborg Palace - which is the where the Danish Parliament is located. 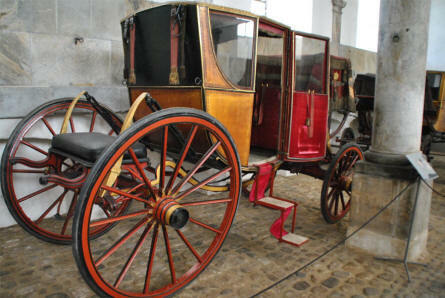 The museum stables and some of the carriages are still being used by the Royal Danish family. 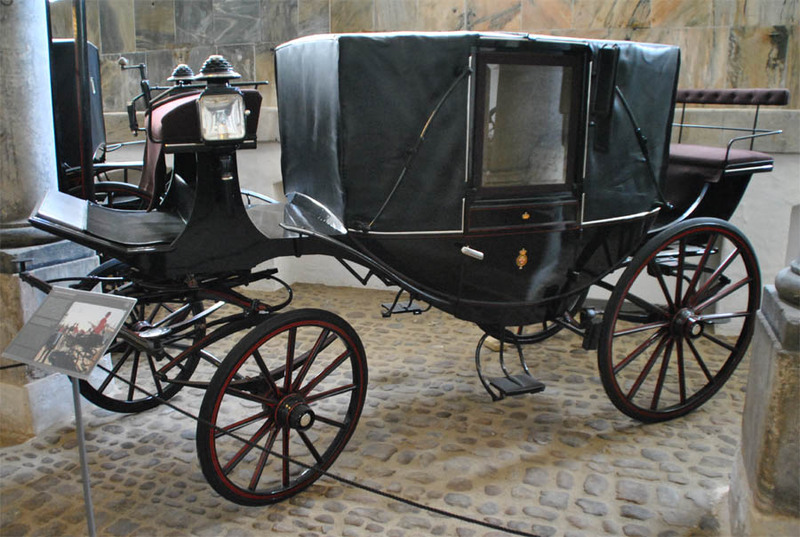 One of the beautiful old carriages displayed at the Museum Royal Stables and Carriages in Copenhagen. 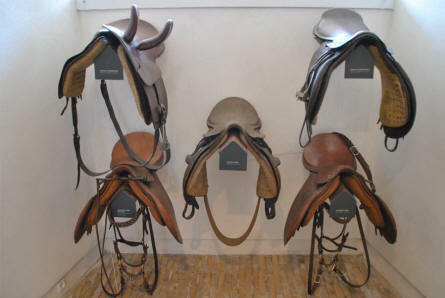 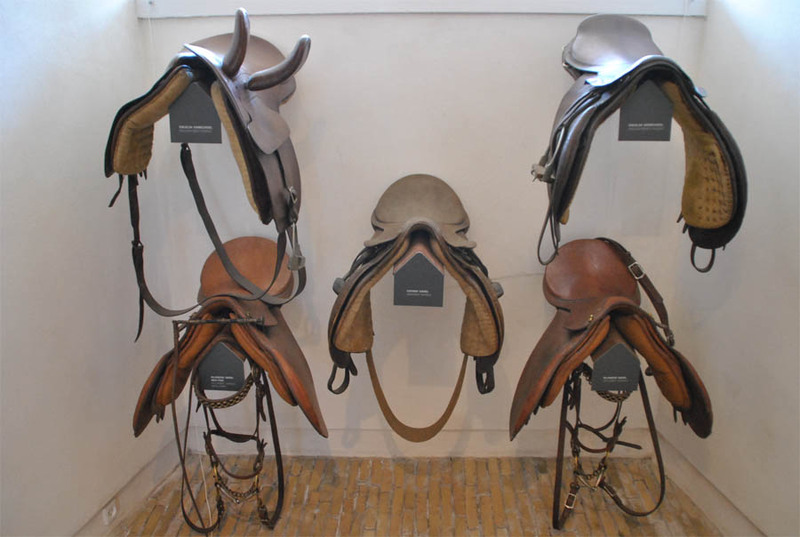 Some of the many old Royal saddles displayed at the Museum Royal Stables and Carriages in Copenhagen. 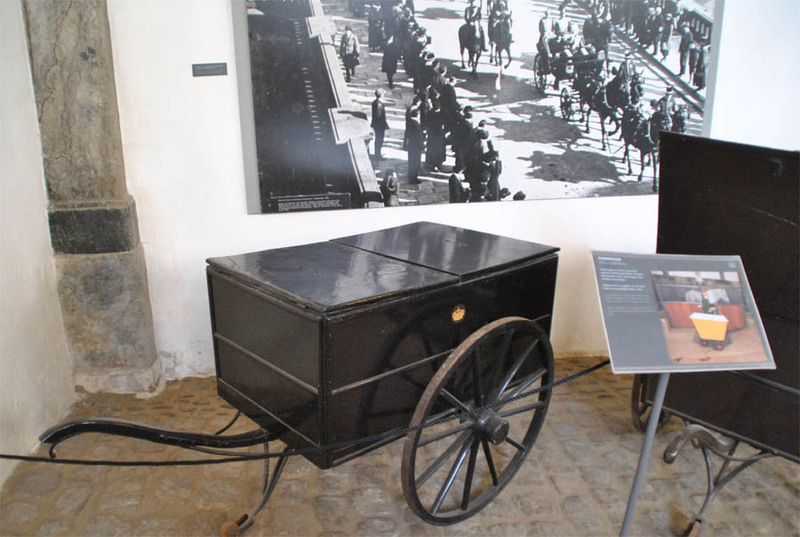 One of the old stable wagons displayed at the Museum Royal Stables and Carriages in Copenhagen. 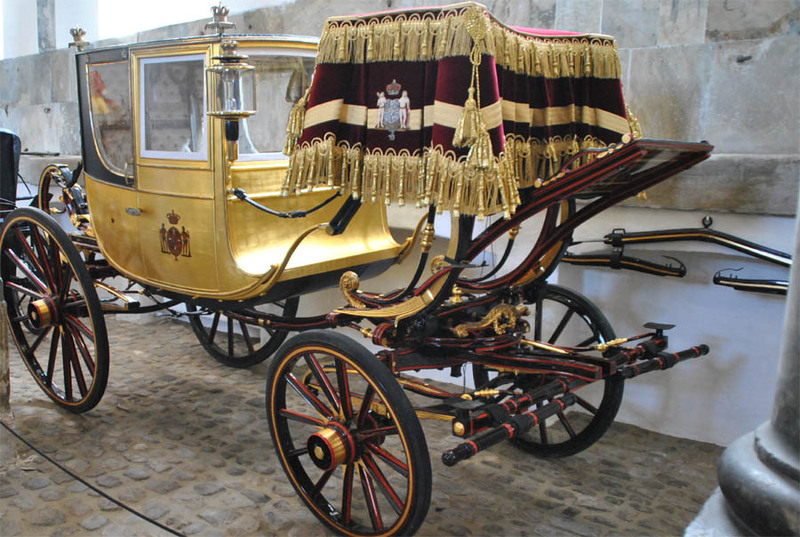 One of the beautiful old gold carriages displayed at the Museum Royal Stables and Carriages in Copenhagen. 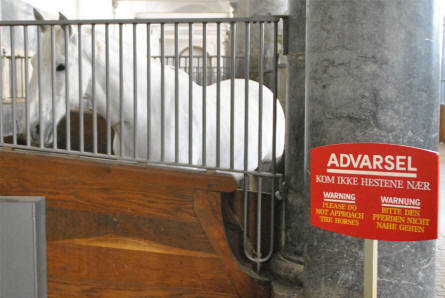 One of the beautiful horses displayed at the Museum Royal Stables and Carriages in Copenhagen.